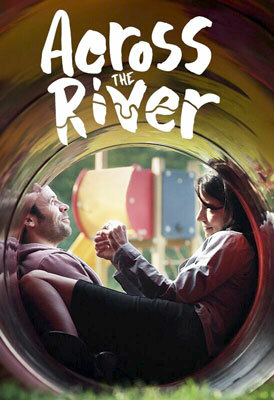 Across the River allows us to spend the day with a pair of former lovers as they reconnect - for better or worse. Ryan is your typical scruffy soul, an easy-going dreamer that inspires and then irritates Emma, who is your average uptight perfectionist, always tilting between acceptance and rejection - of Ryan, that is. Ryan and Emma run into each other one fine afternoon along the Thames riverwalk after seven years. Events conspire to bring them together for the moment, as they play catch up with each other's progress. Emma feels very settled in her all too predictable life, but her insecurities nag away, until she's soured on life's sweetness. Ryan greets every day as an adventure, but spends so much of it lost in the weeds that he misses out on the day's tangible gifts. Delight gives way to squabbling that descends into a tale of opposing spirits who try to keep their renewed friendship above water. 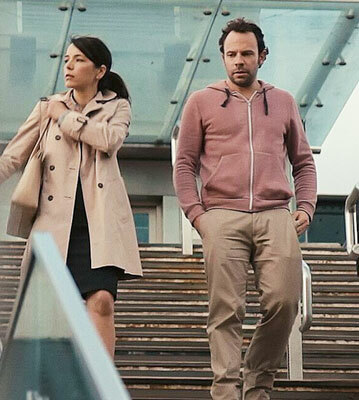 Elizabeth Healey and Keir Charles never let their star-tossed lovers descend into cute sentimentality and director Warren B. Malone highlights the city of London without it feeling like a guided tour. Not a bad way to spend an afternoon, if you ask me.